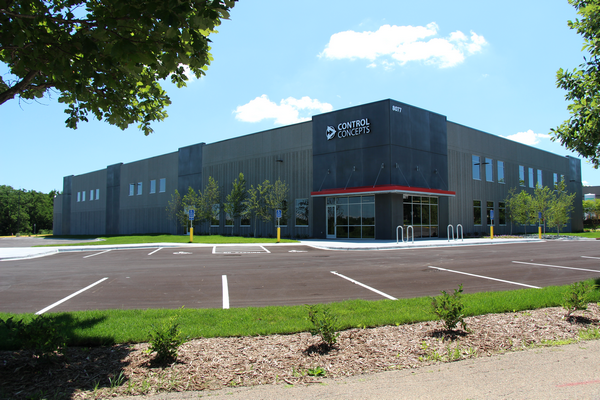 About CCI | SCR Manufacturer | Contact Information | Control Concepts, Inc.
Control Concepts, Inc., founded in 1980, is a privately-held company and the market leader in the design and manufacture of stock and custom SCR power controllers. Our single phase, three phase, zero-cross and phase-angle power controllers have voltage ratings ranging from 24 to 690 volts and current ratings ranging from 8 to 2000 amps. Power control applications have demanding environments and require extremely high product reliability; this translates to less down time and increased profits. When you use a Control Concepts power control system, you can be confident that reliability is the top priority in our controller designs. All power controllers are conservatively designed to operate continuously at full rated current and 50C. The surge current ratings are typically 20 times (or more) the rated current. Optically coupled SCR gate drives, although more expensive than other techniques, virtually eliminate false operation due to transients. We believe that our customer service and power control application assistance are unequaled in the industry. Because SCR power controllers and power control systems are our core focus, we are experts in the application and use of our products. We encourage you to call us to obtain assistance in determining a reliable solution for your application, or with any questions or comments regarding the operation of our products or our competitor's products. We are very aware of the urgency that can exist when a production facility is shut down because of a failure. Therefore, we maintain an inventory of power control products and we have the capability of shipping most products overnight. We would appreciate the opportunity to be your source of power controllers and to demonstrate our capabilities to you.